You have to be very quiet as you walk into Caleb the beetle's dream world with all of his dreamland friends. Caleb snuggles into the giant roots of an old oak tree and is soon fast asleep. 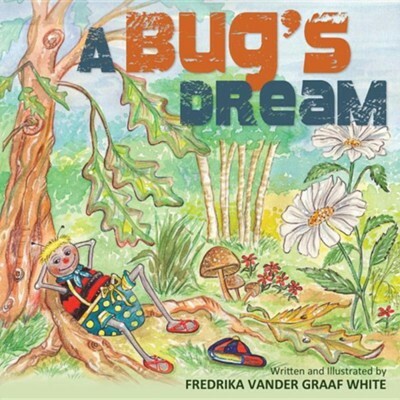 His dream takes some unbelievable turns as he lives out the desires of his little bug heart. On his incredible little red scooter with his wagon in tow, Caleb arrives safely at Birds Hill Park, where his dream adventure begins with four of his new-found friends. This is the best day of his life, and I know you will agree Dreams can be so much fun, even for a little beetle. About the Author: Fredrika and her husband, Terence, lived in the delightful town of Oakbank for thirty-five years. Their two children attended the three schools there and are now both married. They have blessed their parents with four precious grandchildren. Fredrika and Terence now live in La Salle, Manitoba. I'm the author/artist and I want to review A Bug's Dream.